It's funny about the things you wish for. They arrive and then you have mixed feelings. Today Chloé went back to school. Emma went back last Wednesday. There comes a point in the summer when kids really just want to be back with their friends and, well, you come to a point when you think that sounds like a very good idea too. But the house felt quiet today and very empty. Meeko had an emotional day too. He was crazy this morning, tearing back and forth because of his excitement over all of the schoolkids and school buses passing by. He looked pretty wistful as Chloé left though and he remembered the routine. As soon as she leaves through the front door, he races to the back door and asks to be let out so he can run to the front gate where he sits and watches her at the bus stop. Ah yes, it will be a period of adjustment for everyone in the family. I am happy to have my routine back though. I always feel like the beginning of school is the beginning of a new year for me. 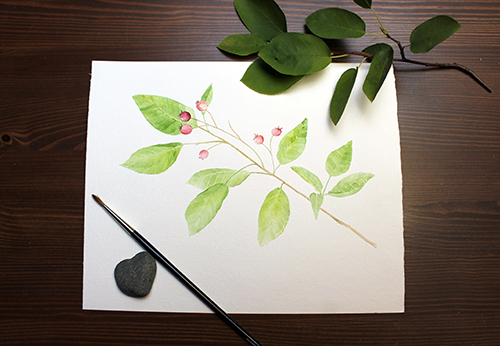 I managed to create two new prints today: smaller versions of my bird nest and nature collection paintings. I hope to create some completely new prints from recent paintings in the days ahead. I finally had a little time in my studio this week. Emma is back in school. Chloé returns this Thursday. 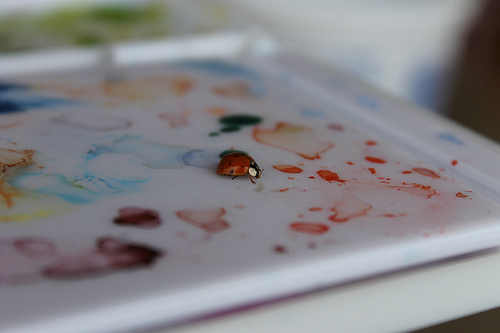 I can't quite believe how fast the summer went although I'll be happy to have more time each day to devote to painting. When I paint, I don't always know if I'm finished a particular subject. I'll get to a certain point and then set the painting aside. There are usually one or two (or more) piles of recent paintings off to the side of my work table. It's actually a useful method as I come back to the paintings later with fresh eyes. The next step will be to try and convert some of them into prints for my Etsy shop. A few weeks ago, I published photos of the wonderful cookie 'sheepscape' that Emma made. A few of you asked for the recipe. 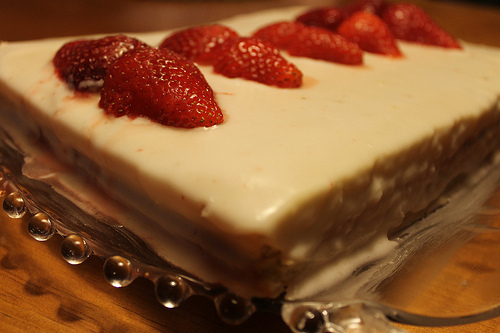 I contacted the publisher and asked it they would mind if I provided the recipe here. Well, first of all, they said that Emma's cookies looked 'fantastic'! And then they said that, although they don't ordinarily grant permission for recipes or extracts to be published, I was welcome to print the recipe here for the personal use of my readers. Thanks very much Parragon Books! Place the butter and sugar in a large bowl and beat together until light and fluffy. Gradually add the eggs and beat to combine, then sift the flour, baking powder, and salt and mix to form a dough. Wrap the dough in plastic wrap and chill in the refrigerator for 2 hours. Preheat the oven to 325°F/160°C. Line 2 large baking sheets with parchment paper. 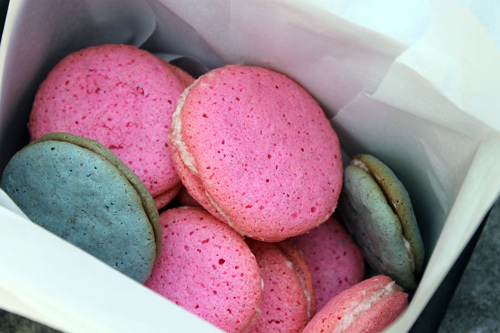 Set aside one third of the dough and leave uncoloured. Divide the remaining dough into portions and knead in different food colourings. 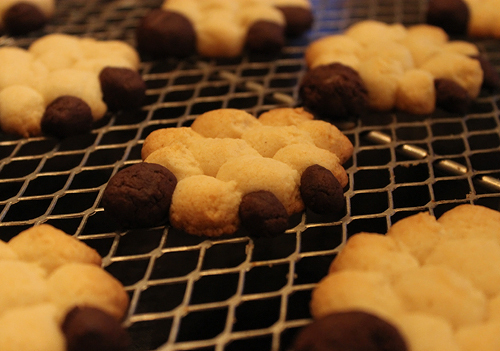 Shape the dough into animal shapes* and place the cookies on the baking sheets. Bake for 20-25 minutes. Let cool on a wire rack. Add eyes and other features with the decorating icing. *Fluffy sheep cookie: For the body, roll small balls of uncolored dough and lay them on the baking sheet, touching each other in an oval shape. Use colored dough to shape the head and feet. Emma used a melted chocolate and cocoa mixture rather than food colouring to colour a small part of the dough (she only coloured about 1/3 of the dough). She didn't use decorating icing. 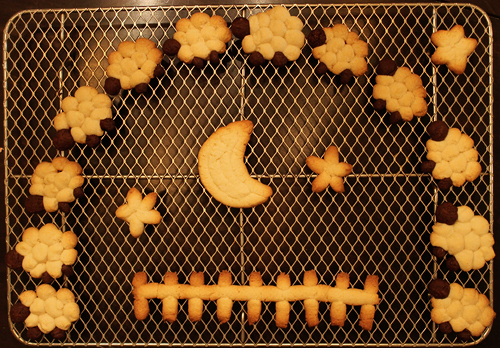 While the book shows the sheep-shaped cookies, Emma went one step further and created stars, a moon and a fence. If you come here regularly, you already know that we have an enormous cookbook collection in our house. 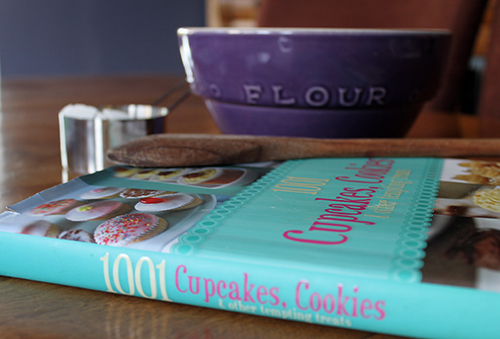 '1001, Cupcakes, Cookies & other tempting treats' really is a lovely book. We've made several recipes out of it and all have turned out beautifully. On Sunday night, we arrived home from a lovely two-week vacation in Ontario--most of it spent on Lake Muskoka at my parents' house. Returning from vacation is always difficult--there are the normal internal questions as I approach the house: 'Is it still standing?' (yes), 'How is the garden?' (weedy but well-watered, thanks to our thoughtful neighbours), 'Anything new and different?' (well yes--just look at those tomatoes!). The green tomatoes that I left behind two weeks ago have turned into the most glorious harvest. The plants were so heavy with fruit that they were toppling. In the photo above, you see pale yellow 'White Queen', red 'Opalka' (don't they look like peppers?) and 'Green Zebra' tomatoes. I have grown tomatoes for the past 12 years here, but the plants have never been taller or more laden. It is very exciting. Gardens teach us many things but one of its most important lessons is patience. Two months ago, I read a wonderful sounding recipe on my friend Sonia's blog for a traditional French savoury tomato tart. 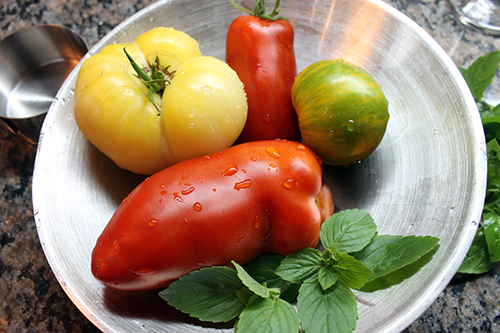 But in June here, tomatoes only can be bought in grocery stores, either imports or grown in greenhouses. They're okay but not all that tasty. So I waited until today to try Sonia's recipe. I made two tarts because we have house guests at the moment--two of my nieces. The assembly stage, just before adding a final layer of cheese and herbes de Provence. This one was made with honey mustard, tomatoes and gouda cheese. In this one, I used whole-grain Dijon mustard and a little espelette mustard, tomatoes and Emmental cheese. The tarts were a tremendous success. The round one was made in a quiche pan with a removable bottom so it was super easy to cut. Because this pan was a little deeper than the rectangular sheet, I added more tomatoes and it took a few more minutes to cook. I used a quick food-processor pastry recipe for the crust. Here's the recipe link for the tart from Sonia's blog again. And a very big thank you to my garden! A year ago today I started my blog. I can still remember my stomach being in knots as I hit the 'publish' button. I really didn't know what it would mean for me. Would it be helpful? A source of artistic inspiration? A burden to write? Would anyone read it? Would anyone care? In the end, yes, it has definitely been work but it has also been a source of wonderful encouragement, friendship and a way of connecting with people of like mind and creative spirit around the world. Thank you so much for being with me this past year. Thank you to those who have happened by and left kind words. Thank you to all of you who have kept returning and, along with providing me with ongoing motivation, have become dear friends. I have loved writing it. I have painted more, I am certain, because of you. I've tried new papers, subjects and methods thanks to your suggestions, example and inspiration. I have used my camera more than I would have on my own. You were there during my ups and downs with my computer and printer. You were there when I opened my Etsy shop. Thank you for watching my garden grow with me and sharing your own garden stories. Thank you for letting me share my world--my studio, my garden, my neighbourhood, my kitchen, my family--with you. Please cut yourself a lovely piece of strawberry shortcake (made by Chloé), accept a warm hug from me and big kiss from Meeko! We had an unexpected visitor in the kitchen today. I heard a little 'plunk' and looked beside me. A grasshopper was sitting in a cake pan on the counter. I have no idea exactly how or why it came to be sitting there. I looked up the symbolism of grasshoppers and, in many cultures, they are harbingers of good news or good luck. I think it was probably excellent news to the grasshopper that it didn't get baked into a cake. :) Instead, I returned it outdoors. Isn't he beautiful? In closing, I wanted to share a beautiful, peaceful image taken by Emma the other evening. Thanks again for being with me this past year. I had a lovely day painting 'en plein air'. I love painting outside although I don't find it to be easy. I paint slowly so a sky can change multiple times as I paint. But that's okay. My painting ends up being my impression of a period of time. When I went outside, I said "Ooooo, look at that sky!" My sister said to me "You look at that sky and think 'painting'. I look at that sky and think 'rain'!" In the end, it didn't rain. It was a beautiful cloudy afternoon. I have lost count of the beautiful Bookhou bags we own, but this one is perfect for transporting my watercolour pads, palette and paint brushes. Mussel shell 'sculptures' from a lovely family meal eaten not oceanside but lakeside. Sweet peas. I love their curly tendrils. A coloured pencil drawing of geraniums I did this week. I haven't used coloured pencils in years (probably since colouring in maps in school many years ago)! A watercolour I did for my sister Karen in 2005 of her cat Whiskers who was part Himalayan and part Siamese. He had one crooked ear due to surgery early in his life but still managed to look elegant. Hope you are enjoying your days as well!